President Donald Trump insisted on Tuesday that left- and right-wing extremists became violent during a weekend rally by white nationalists in Virginia, reigniting a political firestorm over US race relations and his own leadership of a national crisis. 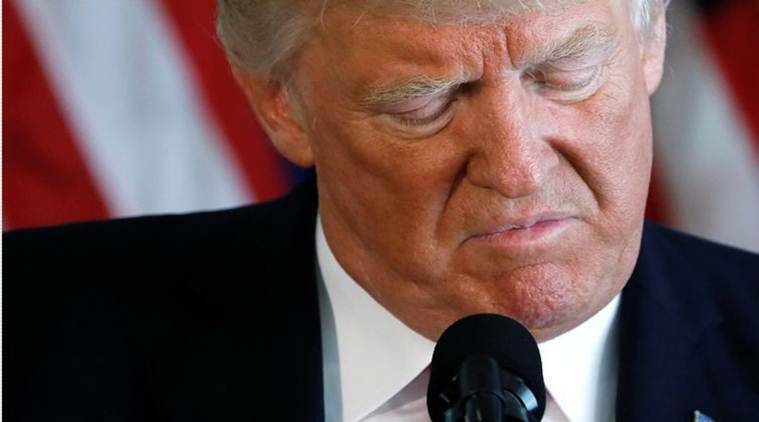 Trump, who drew sharp criticism from Republicans and Democrats for his initial response, reverted on Tuesday to his position that both sides were at fault for the violence, a day after bowing to pressure to explicitly condemn the Ku Klux Klan, neo-Nazi and white supremacist groups. Appearing angry and irritated, the president maintained that his original reaction was based on the facts he had at the time. “You had a group on one side that was bad, and you had a group on the other side that was also very violent. And nobody wants to say that, but I’ll say it right now,” Trump said, referring to right- and left-wing protesters. From there, the back and forth with reporters turned tense. 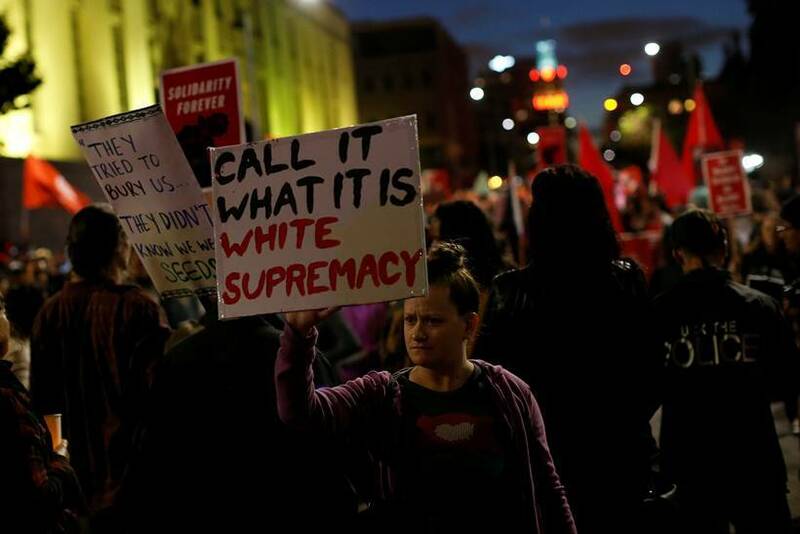 The violence erupted on Saturday after white nationalists converged in Charlottesville for a “Unite the Right” rally in protest of plans to remove a statue of Robert E. Lee, commander of the pro-slavery Confederate army during the US Civil War. Many of the rally participants were seen carrying firearms, sticks and shields. Some also wore helmets. Counter-protesters likewise came equipped with sticks, helmets and shields. 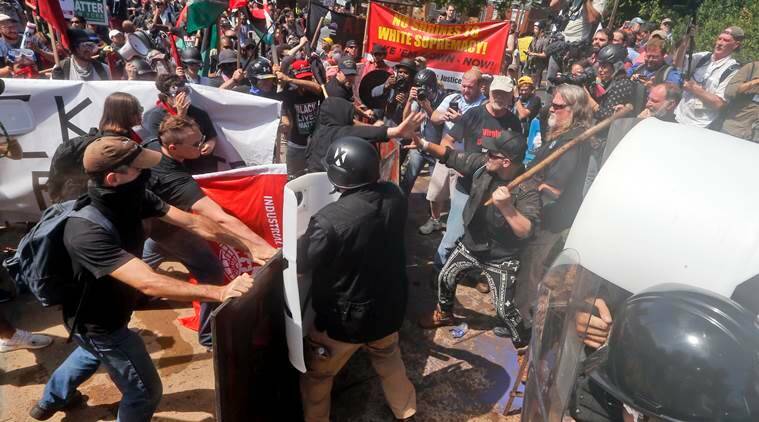 The two sides clashed in scattered street brawls before a car plowed into the rally opponents, killing one woman and injuring 19 others. A 20-year-old Ohio man, James Fields, said to have harbored Nazi sympathies, was charged with murder. Two state police officers also were killed that day in the fiery crash of the helicopter they were flying in as part of crowd-control operations. Addressing the melee for the first time on Saturday, Trump denounced hatred and violence “on many sides.” The comment drew sharp criticism across the political spectrum for not explicitly condemning the white nationalists whose presence in the Southern college town was widely seen as having provoked the unrest. 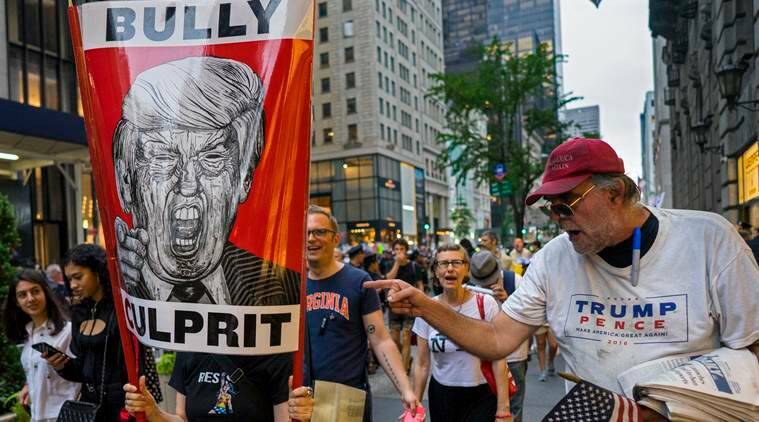 Critics said Trump’s remarks then belied his reluctance to alienate extreme right-wing organizations, whose followers constitute a devoted segment of his political base despite his disavowal of them. Yielding two days later to a mounting political furor over his initial response, Trump delivered a follow-up message expressly referring to the “KKK, neo-Nazis and white supremacists and other hate groups” as “repugnant to everything we hold dear as Americans.” Trump’s detractors dismissed his revised statements as too little too late, but his remarks newly inflamed the controversy. Former Ku Klux Klan leader David Duke immediately applauded Trump on Twitter. “Thank you President Trump for your honesty & courage to tell the truth about #Charlottesville & condemn the leftist terrorists in BLM/Antifa,” Duke wrote, referring to Black Lives Matter (BLM) and anti-facists. In a similar vein, Virginia Governor Terry McAuliffe, a Democrat, said Trump’s characterization of the violence missed the mark. “Neo-Nazis, Klansmen and white supremacists came to Charlottesville heavily armed, spewing hatred and looking for a fight. One of them murdered a young woman in an act of domestic terrorism, and two of our finest officers were killed in a tragic accident while serving to protect this community. This was not ‘both sides,'” he said. Three other members of the council – the chief executives of pharmaceutical maker Merck & Co Inc, sportswear company Under Armour Inc and computer chipmaker Intel Corp – resigned on Monday. In his remarks on Tuesday, Trump also sympathized with protesters seeking to keep Lee’s statue in place but offered no equivalent remarks for those who favored its removal. “You had people in that group … that were there to protest the taking down of a very, very important statue and the renaming of a park from Robert E. Lee to another name,” Trump said. Trump also grouped former presidents George Washington and Thomas Jefferson, two of the nation’s founding fathers, together with Confederate leaders such as Lee, Jefferson Davis and Stonewall Jackson, who fought to separate Southern states from the Union, noting that all were slave owners.